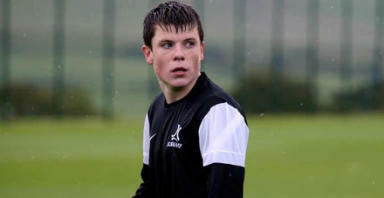 Dunfermline have swooped to secure a teenage striker who came through the ranks at English giants Liverpool. Manager Jim Jefferies has secured 19-year-old Alex Whittle on a three-year-deal with the Pars after impressing in a bounce match against Livingston. Whittle, who joined Liverpool’s academy aged just six-years-old, was released by the Anfield club last year and has spent a year at the Nike Football Academy at Loughborough University. His performances there alerted clubs to his potential and he came close to signing for Hearts when Jefferies was in charge at Tynecastle. Now the Pars boss has got his man by securing Whittle for Dunfermline next season.